The plan sees the establishment of joint working groups and a review of collaborative processes to determine what is going well and what can be improved. 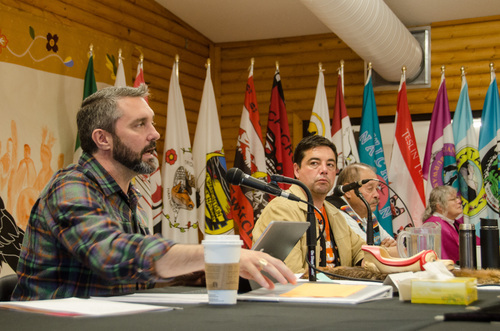 In addition, the plan outlines the next steps that will be taken on a number of topics that are deeply important to Yukoners: justice, heritage, education, health and social services, implementation of the land claim agreements and fiscal relations. In January 2017, the forum was re-invigorated through the signing of an intergovernmental declaration that identified the creation of a joint five-year action plan on shared priorities. At the May 2017 Yukon Forum, leaders approved a list of joint priorities and committed to developing joint action plans for achieving these priorities. These priorities include fiscal relations; collaborative processes for heritage, justice, education, health and social services; land claim and self-government implementation; and ensuring that Yukon’s legislative agenda considers First Nations’ priorities. To view an electronic copy, click here.